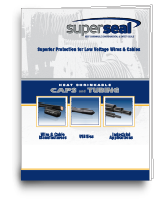 Super Seal | Copyright notice for the Super Seal Corp.
Super Seal Corporation . All rights reserved. Text, images, graphics, sound, animations and videos as well as the arrangement of the same on Super Seal Corporation web sites are protected by copyright and other intellectual property rights. The content of these web sites may not be copied, disseminated, altered or made accessible to third parties for commercial purposes. Super Seal Corporation web sites may also contain text, images, graphics, sound, animations and videos subject to third party copyrights.